Spalding is one of the biggest names in the world of basketball equipment and they feature some amazing products. Their business strategy is centered on all basketball lovers and this model only goes to prove that. 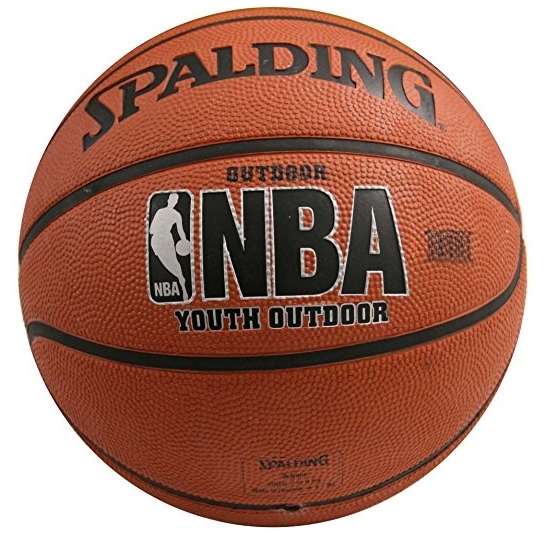 Spalding Varsity Rubber Outdoor Basketball is one of the cheapest outdoor basketballs on the market. We wanted to find out how much compromise was made in regards to quality. This ball is made from durable rubber-covered with round pebbling for enhanced grip. It comes in three sizes and it can be purchased for less than $15. Let’s take a look at its performance on our tests. Rubber balls are usually grippy by nature, but that comes at a price. Every manufacturer of outdoor rubber balls needs to strike a balance between the grip quality and durability of the surface. If you make it too soft, the ball will last for a shorter time. Spalding did a good job with Varsity Rubber Outdoor Basketball. It is soft and grippy, but not so much that you have to fear for its durability. Deep channels offer a good control of the ball rotation during release and the flight stability is excellent. That being said, this is still an outdoors rubber ball and much of its performance can vary on the court surface and the air pressure. After a couple of tests, we were left satisfied with the performance of this ball. The bounce was consistent even in the cases of really hard pounding and the ball retained its shape without any issues. Again, it needs to be pointed out that this is a lower tier basketball, and you cannot expect it to be the most predictable ball on the court. This model falls into the middle of the range in this pricing quality. We did discover (while reading the comments section on various sites) that this ball has a great durability. The owners tend to state out a couple of flaws, but the overall impression is that this is a long-lasting ball. For the balls in the lower price tier, there are certain limitations. We feel that Spalding struck a good value for money balance with this model and that for a strictly outdoors use, this ball will perform quite well. Other than that, it really shouldn’t be used on the hardwood. A general user rating of 4.3 stars is mostly owed to the fact that this is a really cheap model that performs way above its price range. Since you can get one for less than $15 in some cases, this is definitely a smart buy.